CarGurus has 43,545 nationwide Compass listings starting at $2,000. 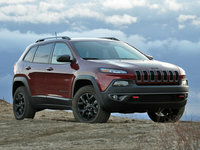 The Compass shows its age in many ways, but Jeep has managed to keep this crossover competent in the red-hot CUV segment. Small, car-based SUVs are the hottest, fastest growing corner of the new-car market, and they now make up the largest segment in the market, too. These vehicles combine the driving mannerisms of a car, the cargo space of a wagon, and the commanding driving position of an SUV. Most of them are incredibly competent, but this wasn’t always the case. As recently as the mid-2000s, automakers were putting out mediocre vehicles, and at that time an idea on paper such as a crossover hadn't been fleshed out in practice. That was the climate when the Jeep Compass arrived in 2007. 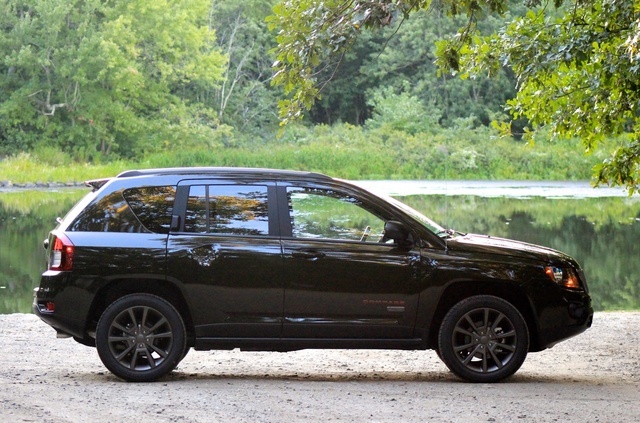 The 2016 Jeep Compass improves on those original efforts while still showing its age. But there is still value in the Compass, and in a market where crossover prices are creeping upward, the aged Compass can offer value as a discount option, with incentives likely available. There’s been only one generation of the Compass, but the 2016 model doesn’t look very much like the one that arrived for the 2007 model year. 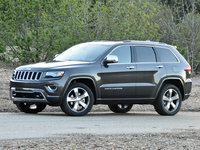 In 2011 Jeep gave the Compass a considerable facelift, inside and out. While the original model featured Wrangler-inspired circular headlights, its look was revised to more closely emulate that of the Jeep Grand Cherokee. The result made the Compass look far more upscale—less a Tonka toy and more a refined crossover—even if that was not yet entirely the case. 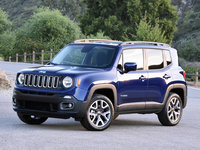 The Compass shares a platform with and is closely related to the Jeep Patriot, which still has circular headlights but has a more squared-off rear that results in better visibility. The angular rear of the Compass yields poor sightlines. Our test Compass is a 75th Anniversary Edition, featuring a package Jeep offers on all its models for 2016. The package includes 18-inch bronze-colored wheels and bronze badges, bumper accents, roof rails, and tow hooks. When combined with the forest green overall color and orange accents, this package offers a truly distinguished look. But get behind the wheel and you can see how this vehicle is long in the tooth. It has some cheap-feeling plastic surfaces, and that's understandable in a market dominated by the likes of the Ford Escape, Honda CR-V, and even the Jeep Cherokee. With such competent competitors, you need something like the 75th Anniversary Edition to make the Compass relevant. This edition is based on the Sport trim, which is effectively the base. It comes with an auxiliary audio jack, tire pressure monitoring lamp, illuminated cupholders, and Bluetooth hands-free calling. The latter is a new standard feature for 2016. The next trim up is the Sport SE, which adds heated leather seats, a leather-wrapped steering wheel, and steering-wheel-mounted audio controls. If you are looking at the 75th Anniversary Edition, it's based on the Sport, but includes these features and also tacks on remote engine start and a power moonroof. The next trim up is the Latitude, which includes a 60/40 split/fold rear seat, rear 115-volt auxiliary power outlet, brightwork grille, and power foldaway heated side mirrors. Moving up yet again to the High Altitude trim yields additional features such as bright-side roof rails, 17-inch Granite painted wheels, and a 6-way power driver’s seat. The Compass offers two engines. The base is a 2.0-liter inline 4-cylinder (I4) that makes 158 horsepower and 141 pound-feet of torque. This engine routes power through a 5-speed manual or a continuously variable transmission (CVT). The uprated engine (which our test car has) is a 2.4-liter I4, making 172 hp and 165 lb-ft of torque. Power is sent to standard front-wheel drive (FWD), but the Compass is also available with all-wheel drive (AWD). Jeep calls it a 4x4, but let’s be realistic—you won’t be rock-crawling in any variant of the Compass. 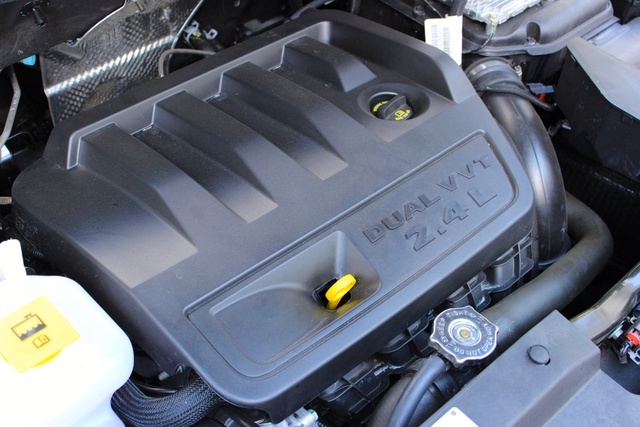 Like the smaller engine, the 2.4-liter routes its power through a 5-speed manual or a CVT. Also available for AWD models is a 6-speed automatic. This 6-speed feels like the best option of the three, as it provides smooth shifts and decent acceleration. But if you're not a fan of engine noise, the larger engine emits an almost buzz saw-like whine under hard acceleration. The Compass's steering is rather heavy for a CUV. 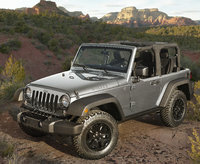 If you've spent any time in a Jeep Wrangler, you may appreciate the weight of the steering, but if you are indeed a Wrangler fan, that’s about all you’ll appreciate. The Compass's steering is certainly heavier than that of other crossovers, but it's responsive, and the car drives surprisingly well. In this sense, the Compass can still hang with newer crossovers. One area where the Compass struggles is in fuel economy. Our test model, with the 2.4-liter, the 6-speed automatic, and AWD, gets estimates of 20 mpg city, 26 highway, 23 combined. A version of the CVT features a low crawl ratio and full-time AWD, and that drops fuel economy to 20 city, 23 highway, 21 combined. The best performer is the 2.0-liter FWD model with the manual, returning 23 city, 30 highway, 26 combined. That engine isn’t that powerful, though, and while the Escape has slightly better fuel economy, its EcoBoost engine makes 245 horsepower. Meanwhile, the CR-V simply blows the Compass away at every corner on fuel economy. The Compass is still an SUV at heart, providing 22.7 cubic feet of cargo space behind the rear seat and plenty of compartments and cubbies for all your gear. The passenger side features a helpful ledge in the dash in addition to the glove compartment. The center console has space for your wallet, phone, keys, and other pocket contents. 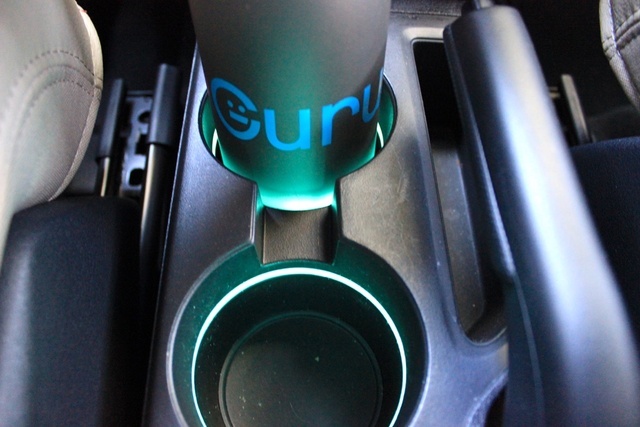 Uprated models feature a wall-style outlet built right into the center console for super-easy charging of everything from phones and tablets to the blower for an inflatable mattress at a campsite. Drop the rear seat and the Compass has 62.7 cubic feet of cargo space. While the Escape and CR-V have more room (67.8 cubic feet and 70.9 cubic feet, respectively), the compartments and cargo management of the Compass make its space very usable. The Compass's base stereo has an auxiliary audio input jack for playing your own music, and it also comes standard with Bluetooth streaming for hands-free calling. The base units are also available with a 1-year subscription to SiriusXM satellite radio. There’s no avoiding the age of the infotainment system in the Compass. 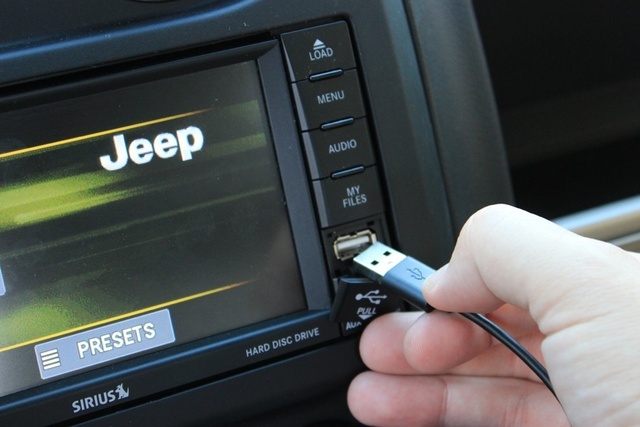 While other models enjoy the latest edition of Fiat Chrysler Automobiles' Uconnect system, Compass buyers (as well as Patriot and Wrangler buyers, in fairness) are stuck with the dated Radio 430 Uconnect system. It has dated graphics and a clunky layout, but the simple fonts are easy to read, and the buttons are large. This touchscreen unit allows you to stream music from a Bluetooth-paired smartphone and has a USB port for charging while you’re playing music. This port is right on the front of the stereo deck, so you won't have to mess around with ports tucked way into center consoles, like those on some newer models. The Compass also offers an available (optional on the Latitude trim) flip-down liftgate stereo system that looks great and is able to pump music into a large area like a field or tailgate. 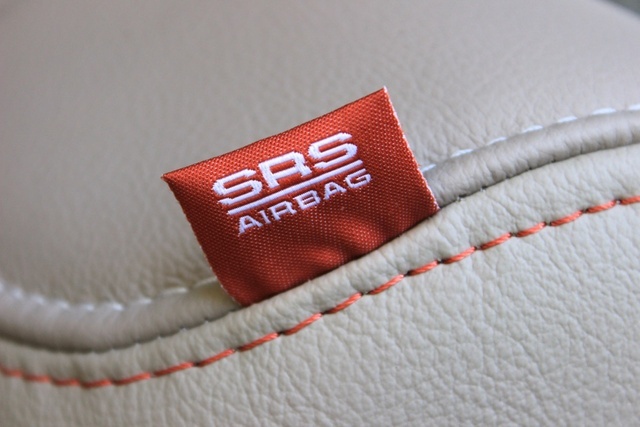 The Compass comes standard with 6 multistage airbags for the driver and front passenger. The second row gets side curtain airbags. The Compass also has crumple protection and side-impact door beams, but it lacks the advanced safety gear that has become prevalent on so many vehicles today, including crossovers. If you want blind-spot monitoring, lane-departure warning, or forward-collision avoidance, you’d better look at newer options, including the Jeep Cherokee. The Compass does have a backup camera, but sadly, it's an available feature, not standard. The Insurance Institute for Highway Safety (IIHS) did not perform complete testing on the Compass, stating only that it earned a score of Good for head restraints and seats. The National Highway Traffic Safety Administration (NHTSA) did not do complete testing either, giving it 3 out of 5 stars for frontal crashes and 4 stars for rollovers. So why get the 2016 Jeep Compass? Because the latest crop of crossovers can get pricey. 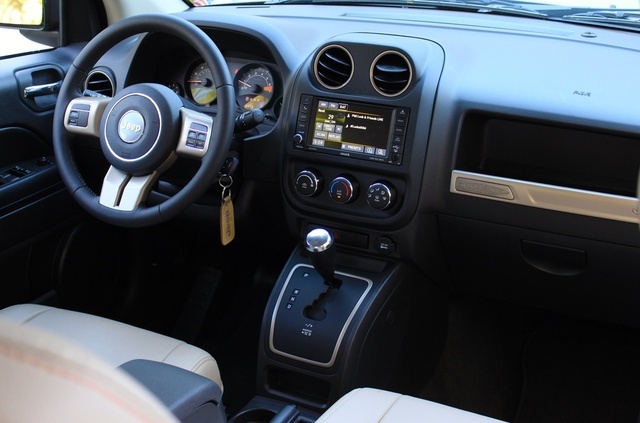 The Compass starts at $19,695, and the midrange Latitude trim, which comes pretty well equipped, starts at $23,995. Its other major rivals (CR-V, Cherokee, Escape) all start at around the Latitude's price, and when you start adding options, the price can climb well past $30,000. Our test version stickered at $28,610. So the Compass is the bargain option, but that doesn’t have to be a bad thing—not anymore. There’s a saying among automotive journalists that, "There are no more bad cars.” That means even the worst cars on the market are still decent ways to get around. That’s the context in which the Jeep Compass should be considered. Sure, it’s at the back of the pack now, but it came from a dark time in the industry, and the updates through the years have improved the Compass into a competent vehicle—and one you can get at a significant discount relative to its competition. 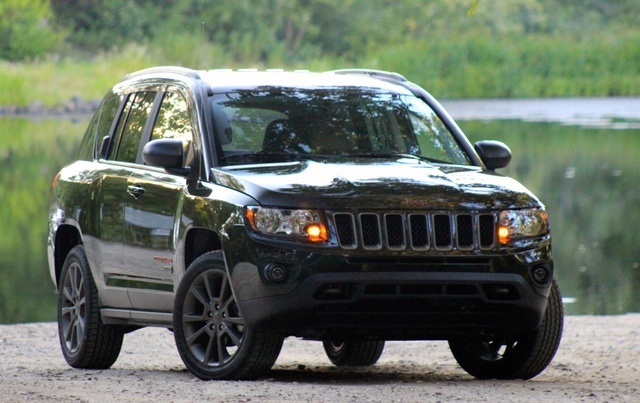 What's your take on the 2016 Jeep Compass? GuruQRRJ Just purchased a used 2016 4x4 Sport. Any concerns with the Power Steering pumps? Oil pan leaks? And your opinion on the brake quality. TheHorror Wouldn't such concerns have been better to research before you shelled out tens of thousands of dollars for the Jeep? 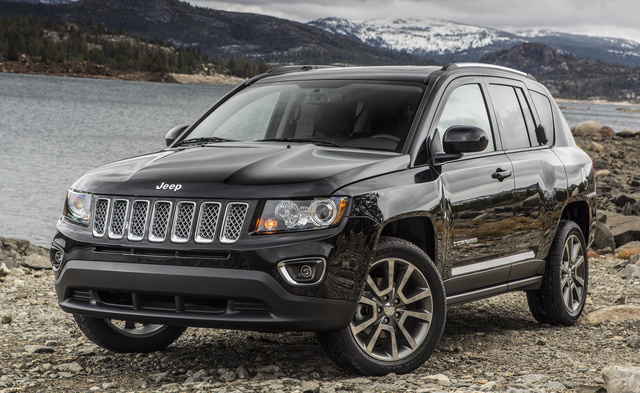 Have you driven a 2016 Jeep Compass?